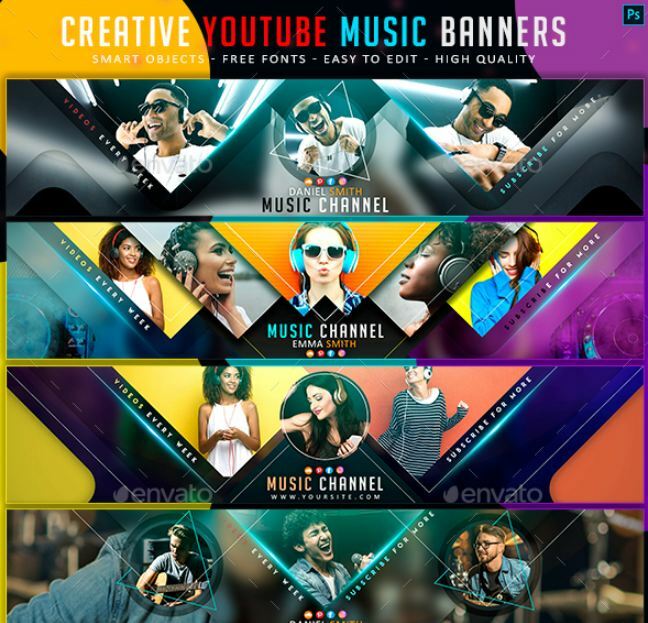 If you are a YouTuber who is creating and sharing videos on YouTube or just going to create a new YouTube channel, you already know how important it is to use good designs/graphics on the channel to create a good impression. 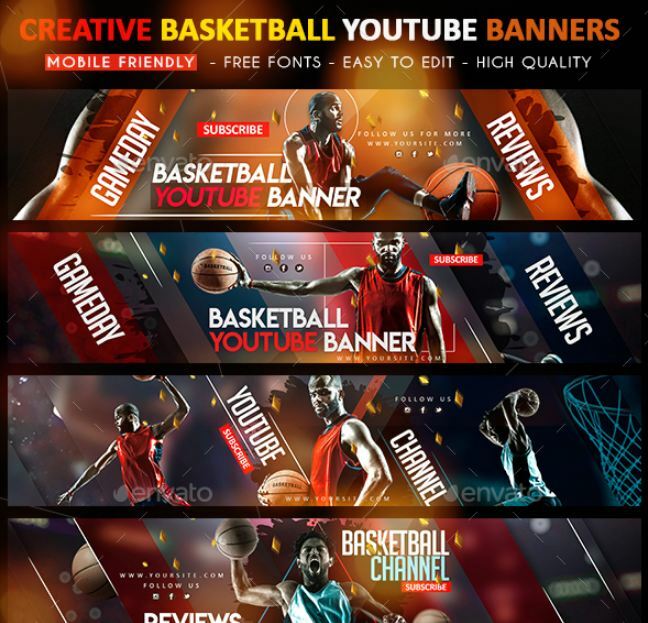 Here we have created a dashing collection of YouTube banner template psd downloads. 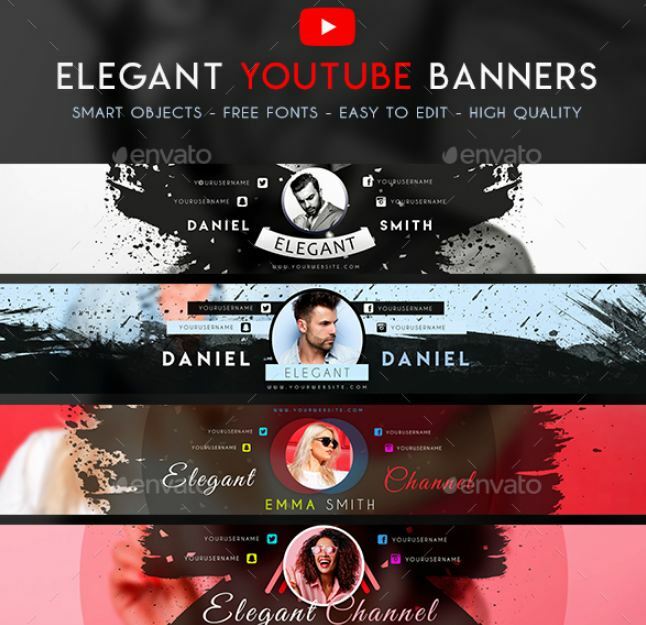 You can download and edit these psd templates to create premium quality YouTube banners to make your channel art more appealing to your subscribers/viewers. 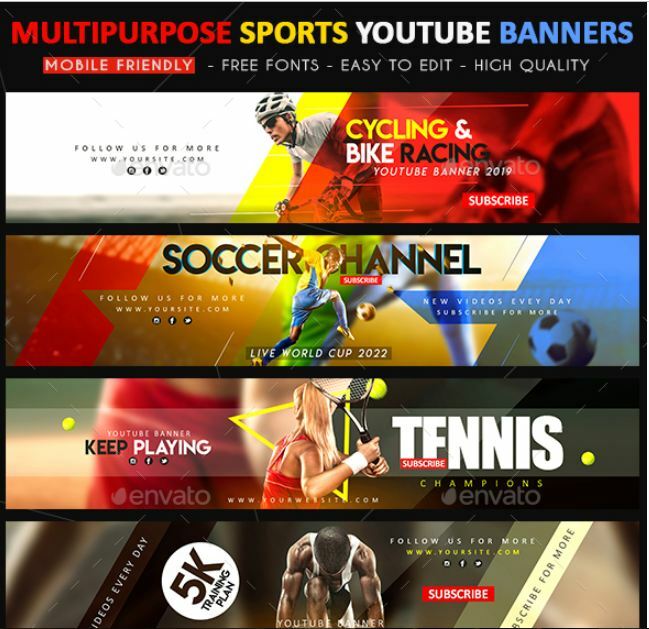 In general, YouTube Banner Size is 2560 x 1140 pixels. 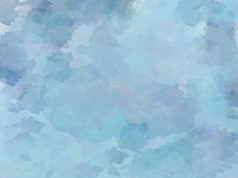 But recommended YouTube banner image size is 2560 x 1140 pixels. You can not upload a banner which is less than 2048 x 1152 pixels. The safe area you see for text and logos should be 1546 x 423 pixels. The file you are going to upload should be within 6 MB. 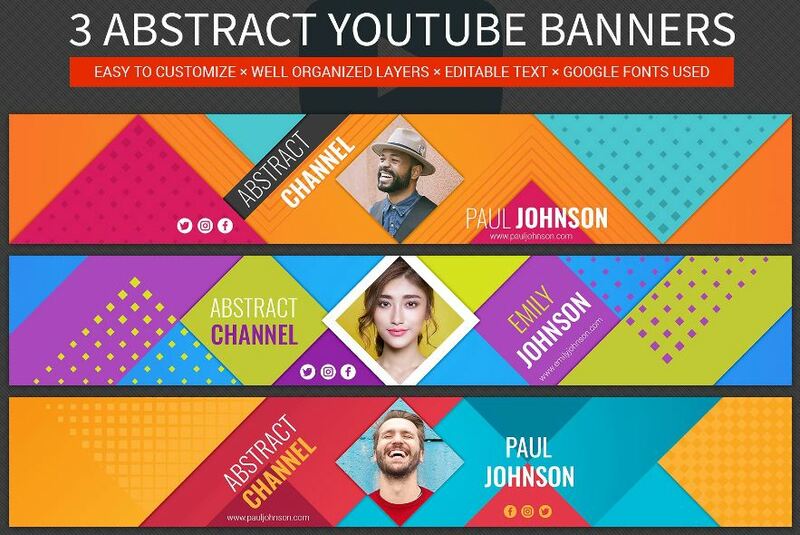 Now, let’s check out these cool YouTube banner template psds which can help you make your channel art stand out in the crowd. 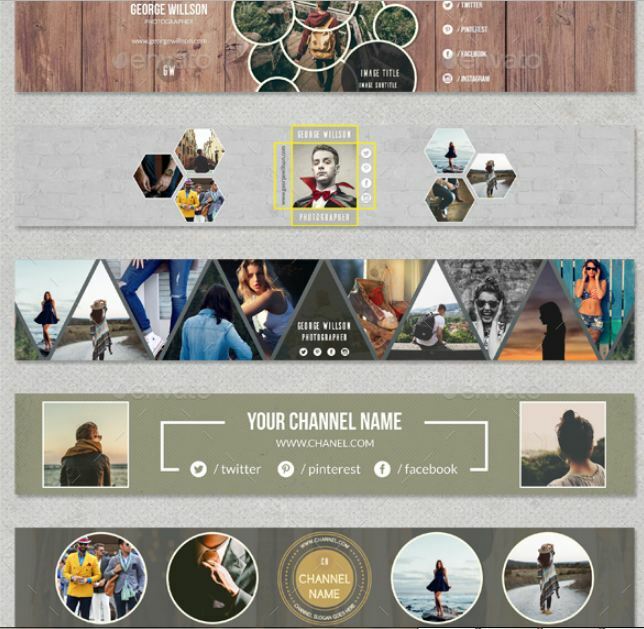 A nice design template from RussGFX. 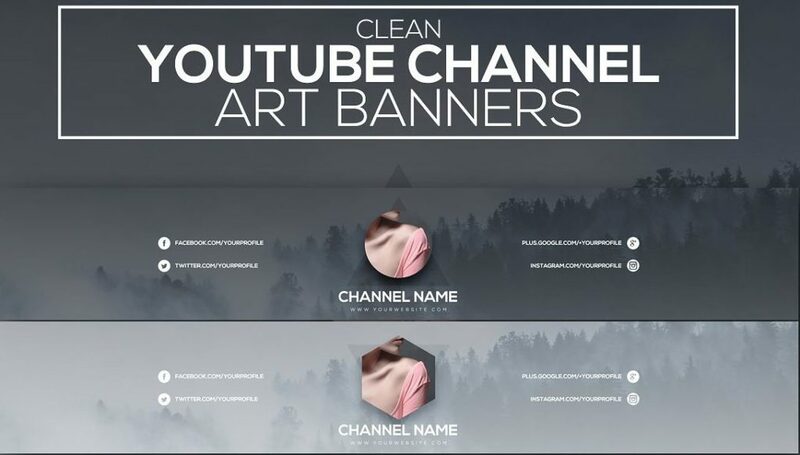 The quality won’t get compromised after you edit the banner psd and create your own channel art and upload it to YouTube. 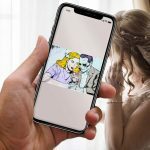 Download includes 2 psd files with 2 PSD Files with Smart Object Replacement option. 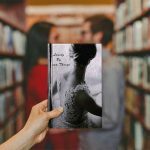 Designed by by Jaisivakumar, You will get fully layered psd files, 6 unique design in total. Easily create cool looking cover with these. 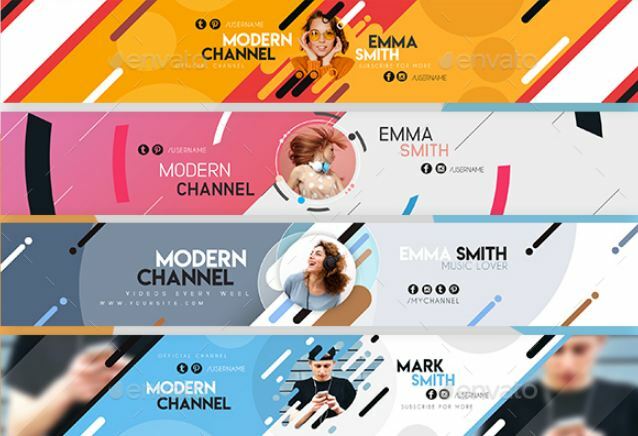 It’s a beautiful multipurpose psd pack with great channel arts. 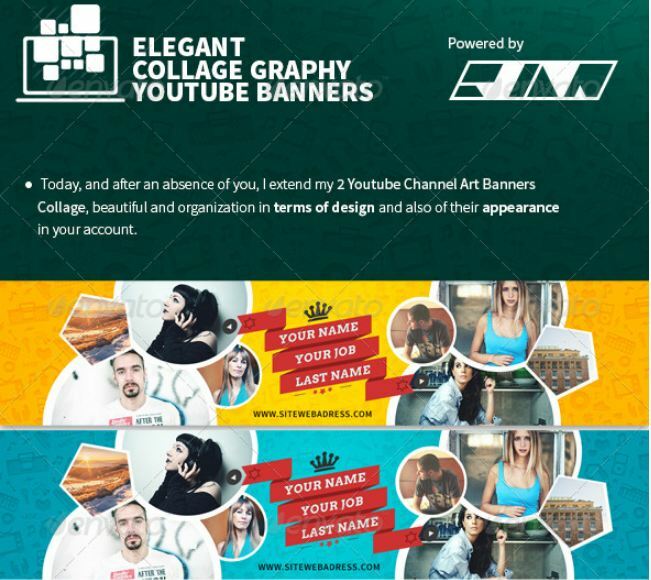 Create cool banners for your photography channel, fashion channel, vlogging channel and so on. This set is made by Genestro Shop, create funky channel decoration with these abstract designs. 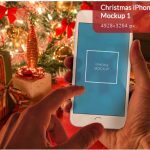 Download includes 3 layered psd files with smart objects. If you are searching for minimalist design, then this set is for you. 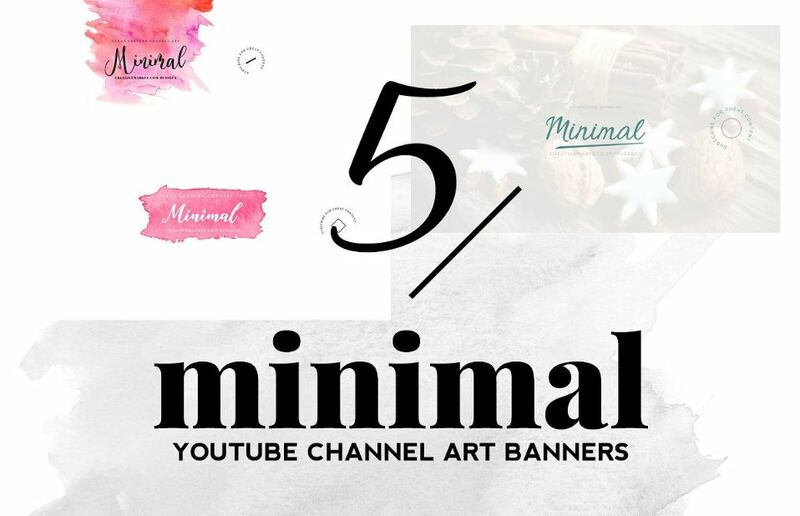 To create girly cover, feminine channel art, vlogger channel etc. 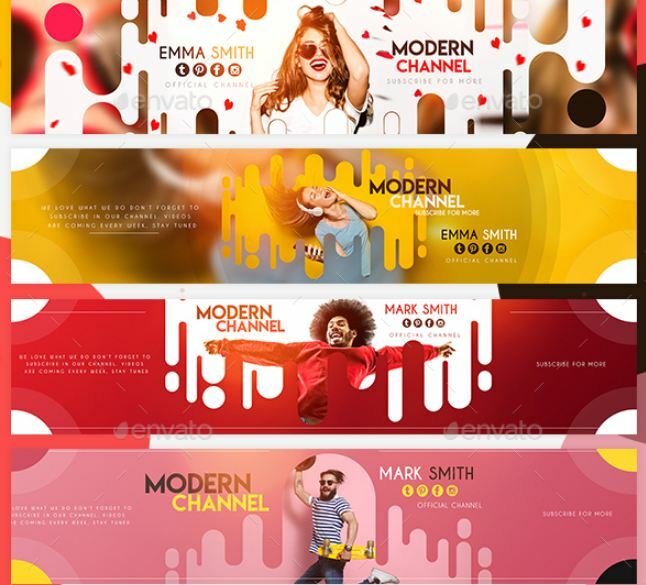 Very much sleek look, edit the psd file to make and upload a cool banner in minutes. 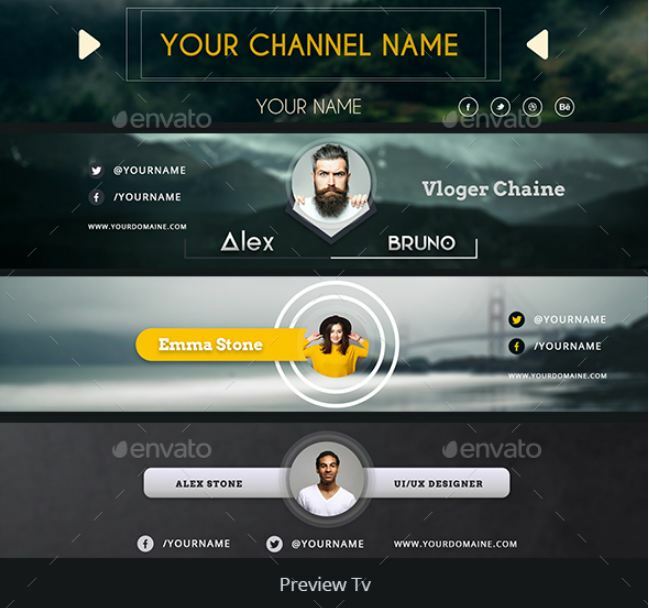 Designer promises that your channel will look good across the devices- TV, mobile laptop you name it. 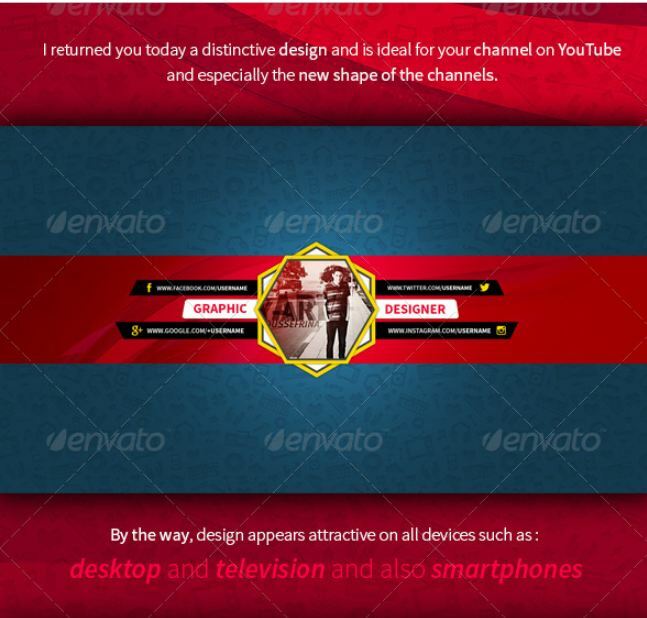 Designed by Scopulus, this download contains 10 high quality channel art template. 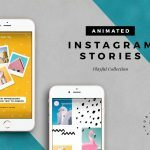 You will get well designed psd which you can edit in Adobe Photoshop to create compelling impression towards your audiences. 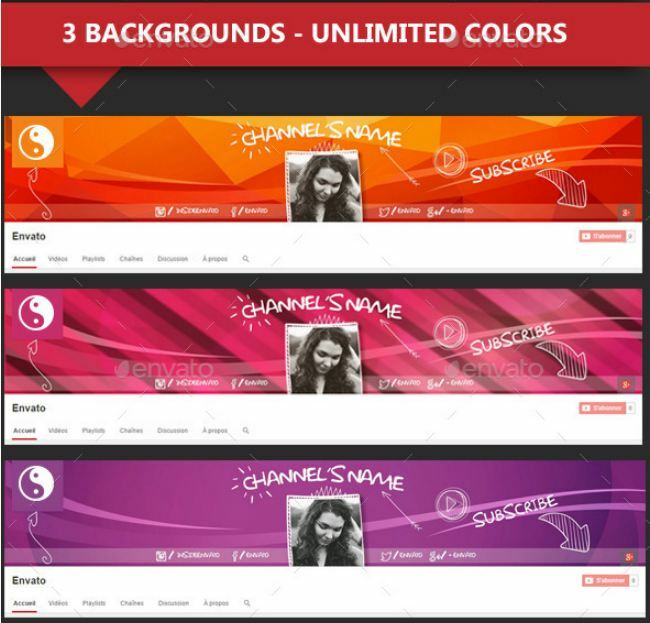 Download and create fantastic channel arts with these smart banner templates from XTrk. Are you a fan of doodling? Or maybe you are running a fun YouTube Channel. 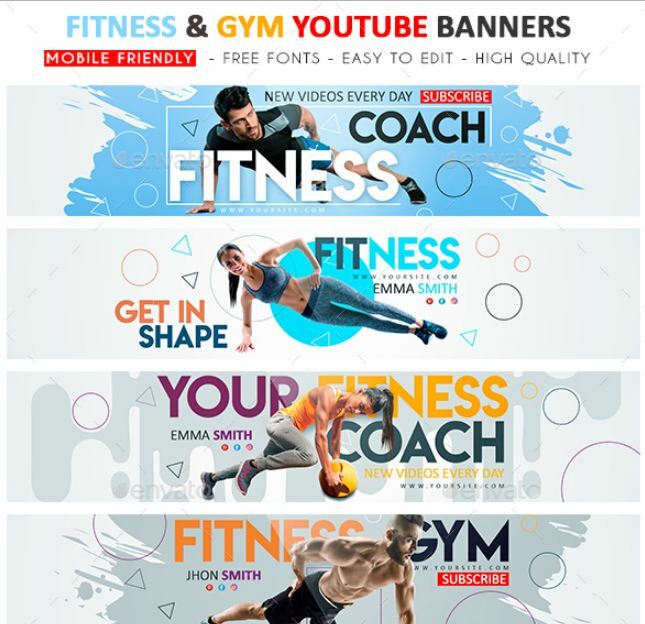 This design templates from lafabrik_ can help you create attractive banners in minutes. Multipurpose set, create different presentations for your works. Are you running a soccer channel? 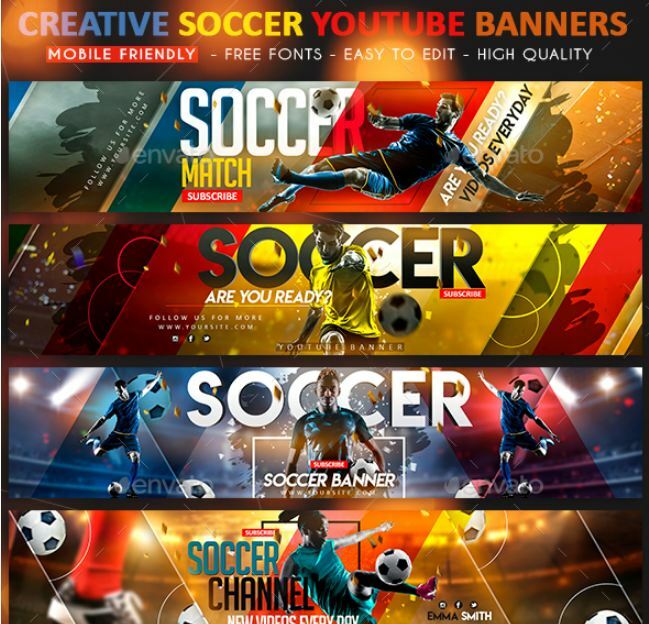 To create a good soccer vibe to your existing or future subscribers check out this gorgeous soccer templates. 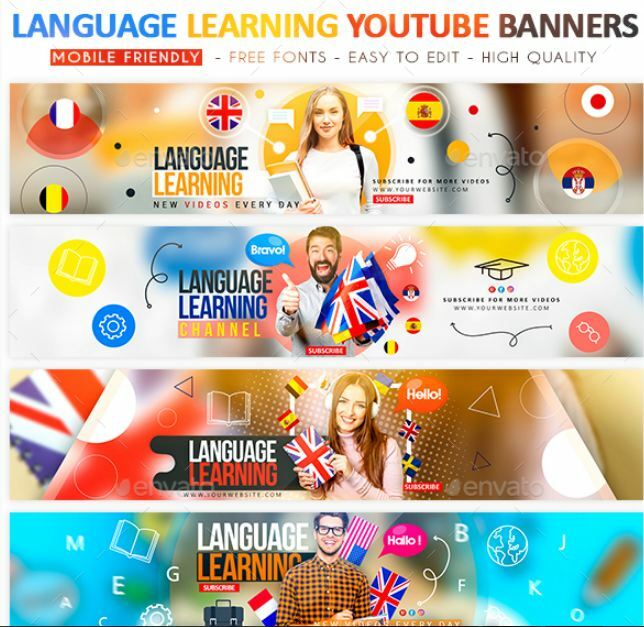 For the channels creating content based on language learning materials, this is a nice pack to create interactive niche based branding. 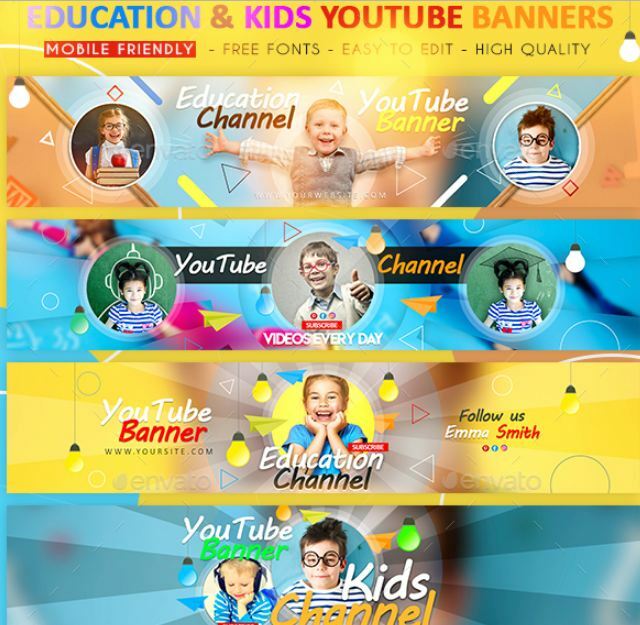 For any kind of learning and education based channels, create cool channel arts for the channels those are serving content for kids and kindergartens. 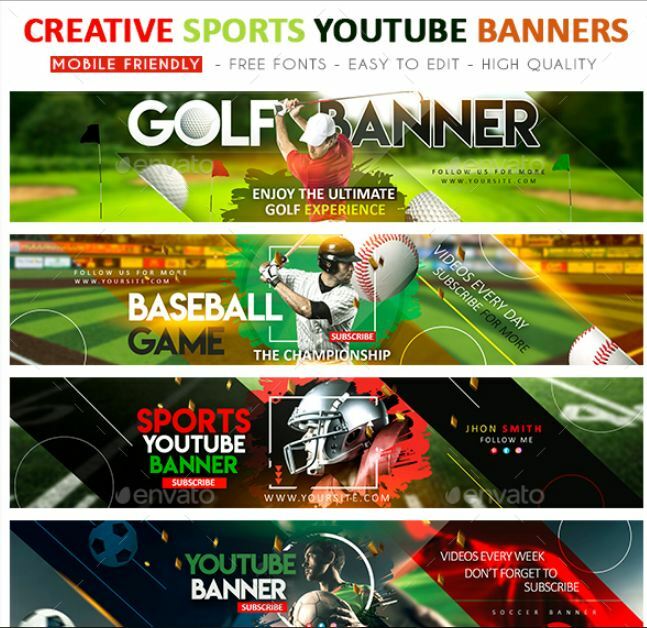 For any kind of sports related channels, this banner psd templates can be used to make super cool channel art with sporty vibes. Basketball fan? Yup, this is for you, includes awesome basketball images and backgrounds. Edit the psd template in Adobe Photoshop and you are good to go! 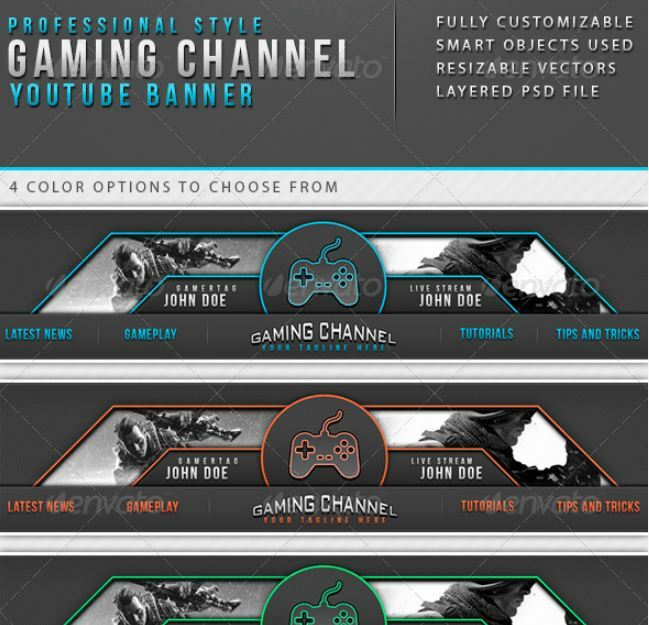 Create simplistic gaming banners with these psds in Photoshop. 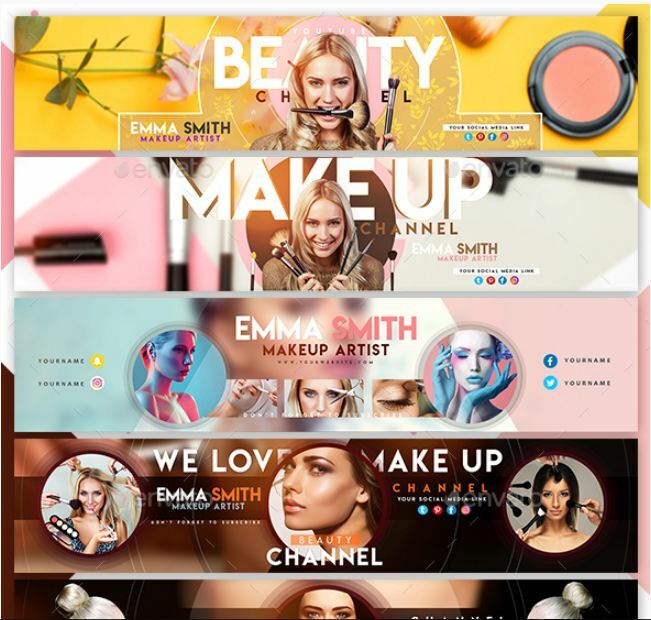 If you are a beauty and fashion vlogger or beauty tips tutorial creator, this banner psd pack is for you. 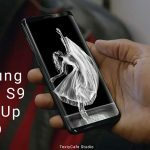 Sharing music content? Then download and enjoy cool musical designs. Super funky with the music vibe. 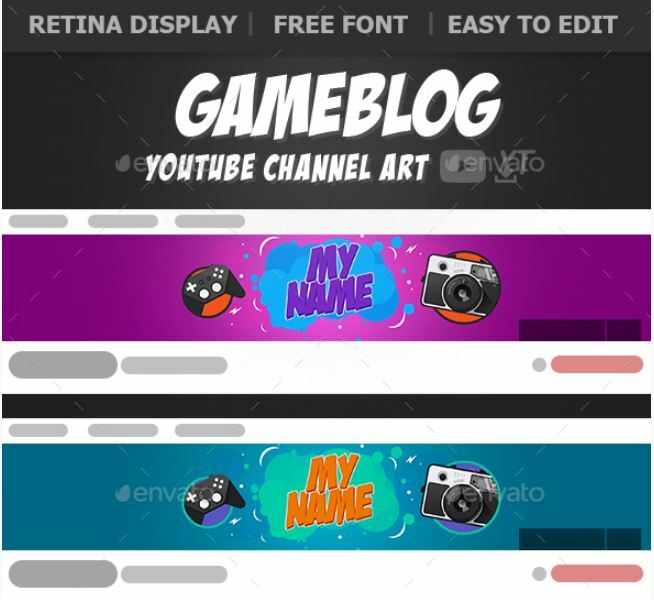 Funny and cartoonish designs for your game blog or game vlog. 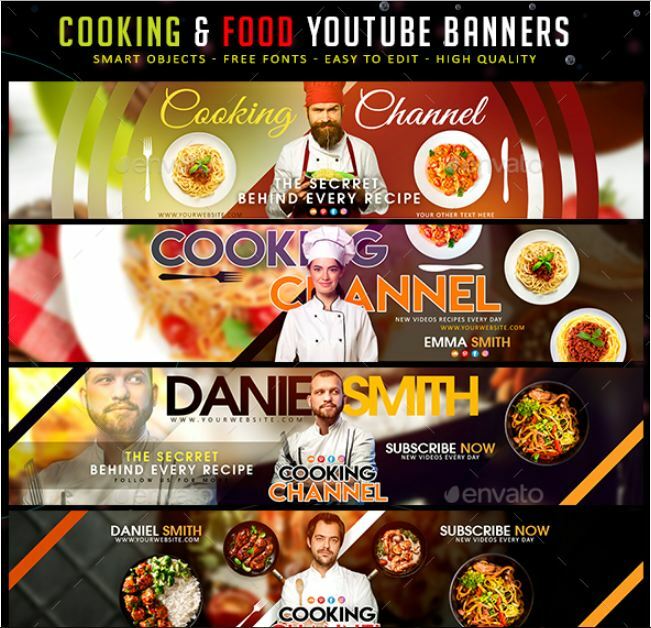 Gorgeous art templates for cooking and food related content based channels. 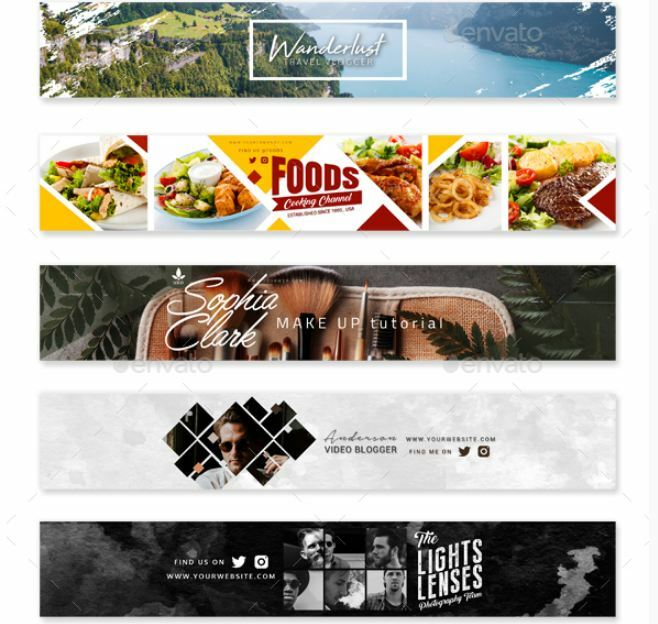 Make your channel art delicious with these psd templates. 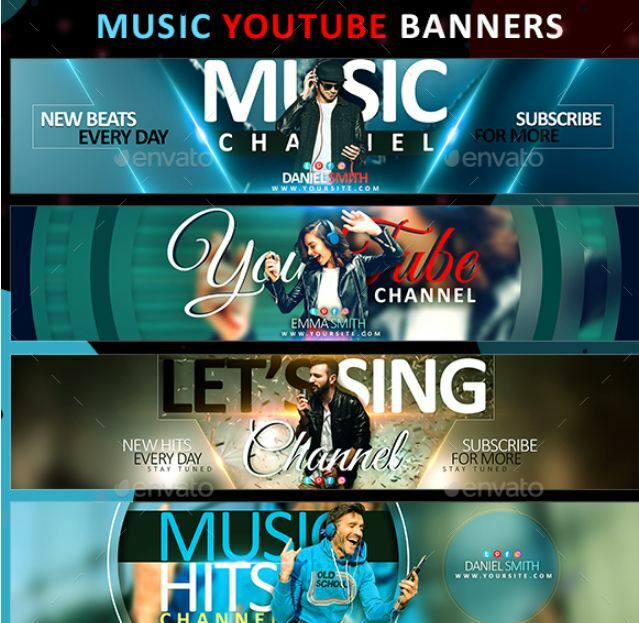 Do you have your own YouTube channel where you have used beautiful channel arts? Do let us know in the comment section! 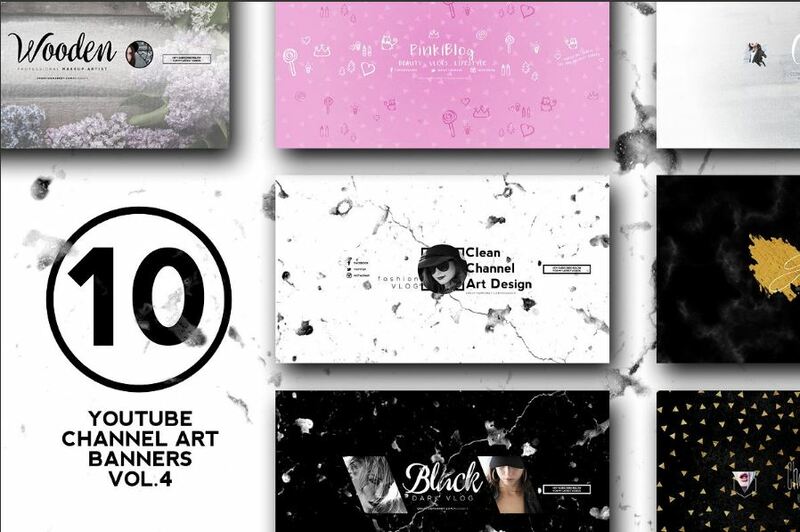 Thank You Laila for checking out our youtube channel banner psd collection!